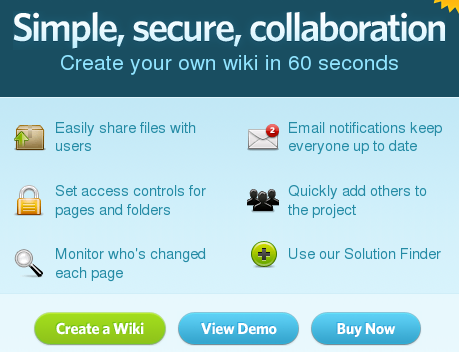 PBwiki is easy to use group online wiki style editor tool that lets you create, manage and collaborate on content online. You can collaboratively create and edit content using wiki style interface, share files and documents, get email notifications that keep you up to date, set access controls on who can access what, invite others to join your wiki, monitor who has changed what and more. 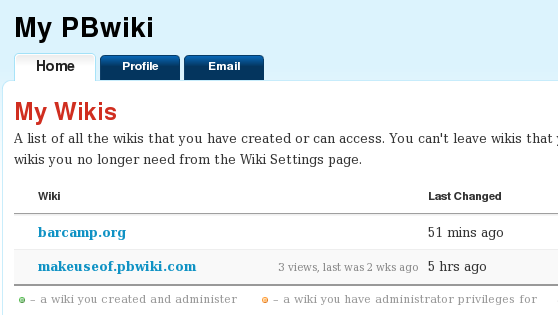 PBwiki lets you collaborate with up to 3 people for free and if you want more you can upgrade to premium account. The registration process is fairly quick and takes few minutes to get started. PBwiki is a really good solution if you need a private wiki tool to collaborate on small group projects over the web. Wiki content management and editing tool. Comments, Mail Notifications, RSS notifications. 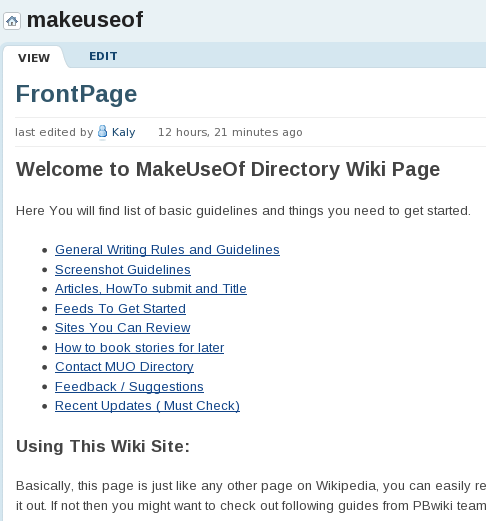 Similar sites: ScribleWiki, PikoWiki and MediaWiki How to Install a Wiki on your Website How to Install a Wiki on your Website Read More .